Baysave is seeking volunteer student interns who have an interest in the outdoors and the bay, learning construction-related work skills, and are willing to put in hard work to help us physically rebuild a local marina and its recreational waterfront areas. This is a hands-on, get dirty, move stuff, fix stuff, build stuff, learn new skills type of experience where every day’s project is likely to include something new. At a minimum, interns will learn the opportunities and challenges of operating several types of businesses and gain an appreciation for the wide range of skills needed in this outdoor waterfront environment. Driving, operating equipment and boating may be included, depending on the intern’s skills, interests and licensing. Baysave is a local 501(c)(3) nonprofit organization formed in 2010. Read more here. The primary work location is Money Island, New Jersey. 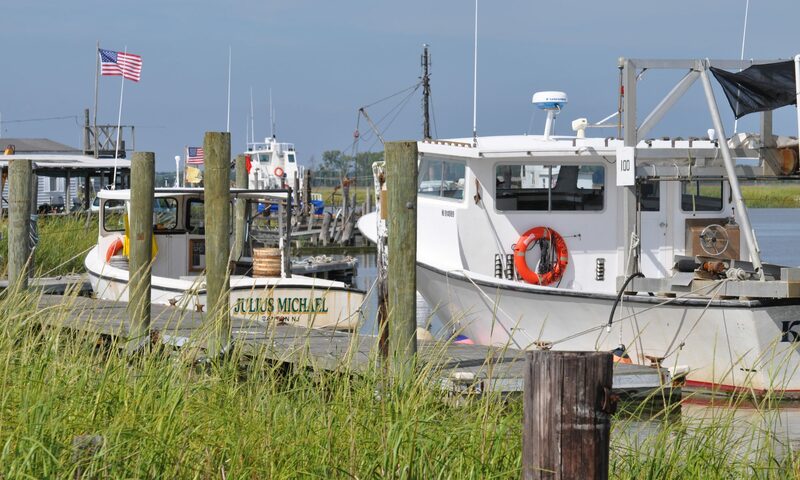 Money Island is the region’s second most productive seafood landing port and that industry is expanding. The goal of this internship is to foster an interest in bay work and develop skills leading to ability to work in an outdoor career on the waterfront, the construction industry, or in retail management. We intend to teach and use a range of valuable work skills in return for benefitting from the intern’s physical labor needed for our type of endeavor. During and after the internship we intend to serve as a reference and a referrer to other businesses that may be of interest to the intern. In our experience, skilled laborers with a personal endorsement from a current or former supervisor are in strong demand in the local area. Our ultimate goal is to find and support entrepreneurial young people who want to make a career running their own business as a waterman, managing a marina or a running a related business. These are volunteer positions without pay or benefits. However, at the completion of 30 hours of service we will award interns $200 cash stipend and at the completion of an additional 40 hours of service we will award interns with a cash stipend of $350. This stipend is a maximum of $550 is a discretionary gift based on approval of the Board of Directors and not a contractual obligation. Continuation with us beyond the initial 70 hours of service is encouraged and in that case the pay will be negotiated on an individual basis. Interns and their families will have access to the marina facility as members and any equipment including boats that they have been properly trained, licensed and permitted to use. Safety first! Marinas and waterways are inherently dangerous. Work with power tools and heavy equipment is also risky. We request that candidates verify in writing that they have adequate medical insurance, provide emergency contacts and, of course, parental or guardian approval if under age 18. We have never had an accident or injury and we want to keep it that way! This internship requires outdoor work, heavy lifting (sometimes more than 50 pounds), using power tools, and work on boats or docks. Specific duties will be tailored to the individual intern’s demonstrated skills and pace of learning. The schedule is flexible through the spring and summer of 2019, based on the intern’s availability, but is weather-dependent. We only work during nice weather days and typically for 4-6 hours in a day. Busiest days are Saturday and Sunday when we typically work as a small team. On other days work may be just a team of 2 or 3. Since work schedule and weather conditions change often, specific day-to-day work plans are coordinated by group text message. Transportation may be available. Parent or guardian approval is required for interns under age 18. Interns will be under the direct personal supervision of Tony Novak. Novak has a background as a high school sports coach, formerly involved in Big Brothers/Big Sisters, and has mentored other students and young adults in similar situations at this site. Instruction will focus on personal awareness, safety first, understanding the project objectives, learning about the larger challenges we face with climate change and the bayshore environment, and picking up practical work skills throughout every day. We are committed to offering an equal opportunity work and recreational environment with support for all stakeholders. Please raise any concerns directly with the on-site manager.